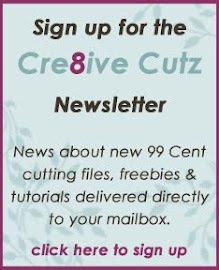 Like Cre8ive Cutz on Facebook and Receive This Popcorn Box & Lid cut file Free! Are you on Facebook? Do you like free cutting files? If your answer to both is Yes, I have a special freebie for you! 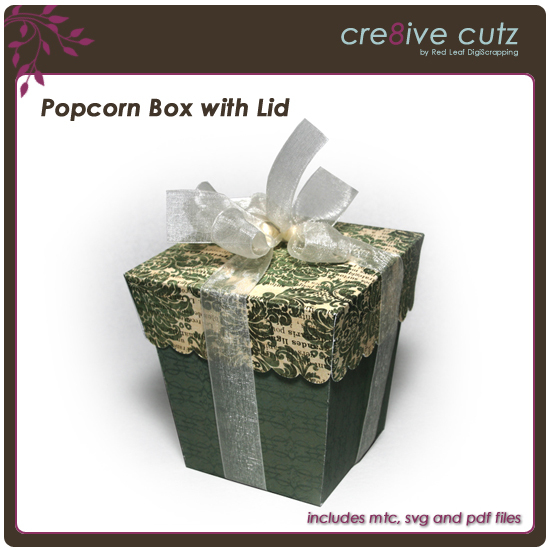 Just head on over to the Cre8ive Cutz page on Facebook and "like" my page, and you'll get the cutting file (SVG, MTC and PDF) for this cute, versatile popcorn box with lid absolutely free! Once you like the page, the image should change to show the download link as well as a video showing you how to assemble the box and lid. (if it doesn't change, just hit refresh). 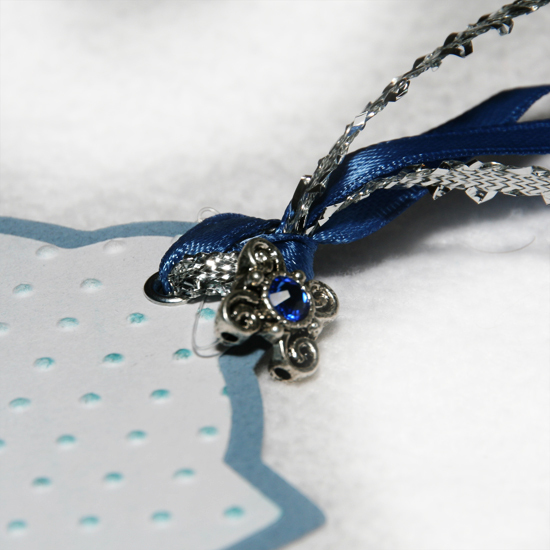 And if you have any crafty friends who might like the file, please feel free to send them to my page as well. Enjoy! If you're anything like me, you love Rosettes but don't have the patience for all that scoring! This set of 3 rosette cutting files does all the work for you, all you need to do is fold on the scorelines and glue your rosette together. 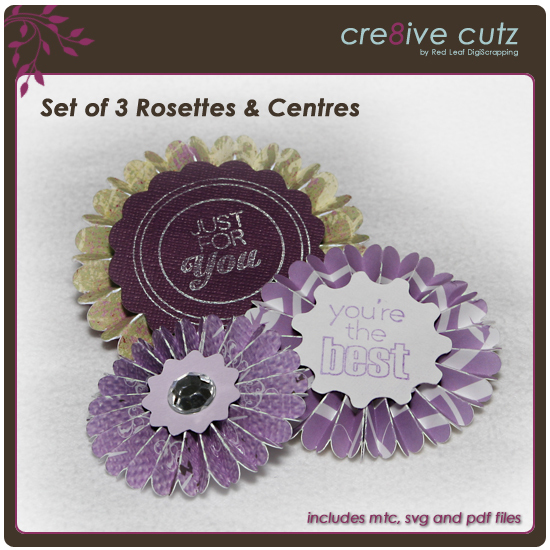 The set includes cutting files to make 2", 2 1/2" and 3" scalloped rosettes, as well as three different centres that can be resized and mix 'n matched to create lots of fun styles. The download includes MTC files for Make the Cut! software as well as PDF and SVG files for use in other software. Assembly instructions are also included. Just click the preview image below to check out this item in my store, including additional close-up photos. 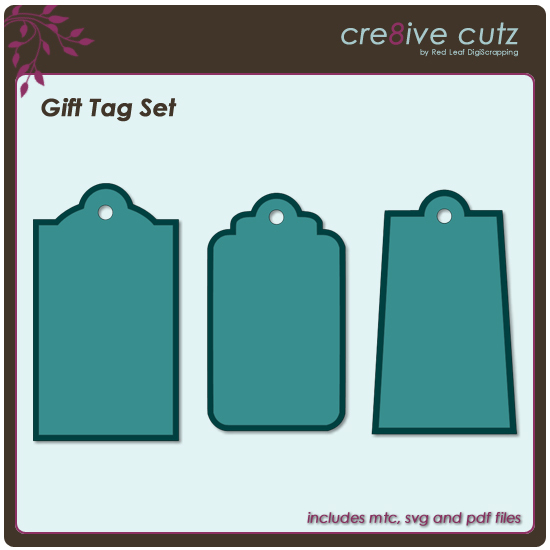 Yesterday I posted some free Gift Tag cutting files, and I've challenged myself to get a little creative with them, and hopefully inspire you a little bit as well! 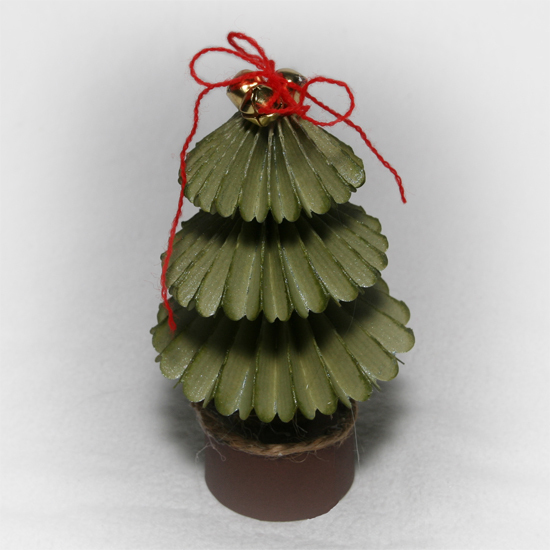 So here is my first gift tag. 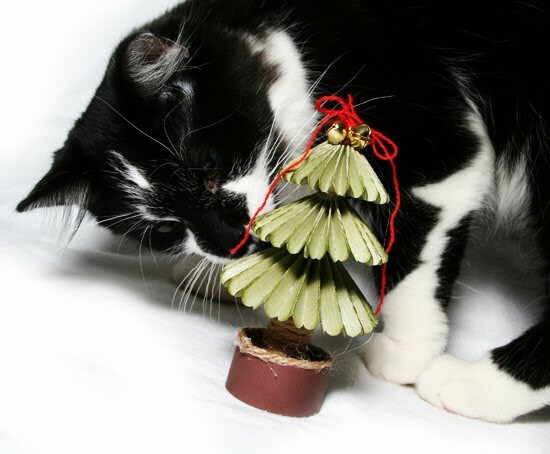 And here's the video showing you how I put the tag together. I hope you enjoy it. 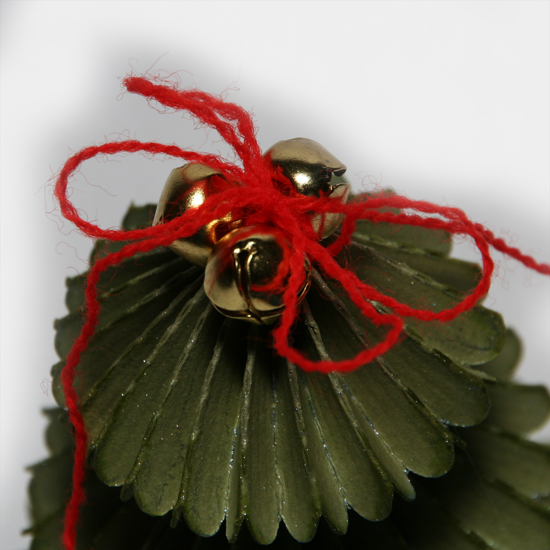 Seems like everyone's talking tags these days, with all the holiday wrapping there is to be done. So I created a few tags using the technique I showed you in this video and thought I'd share them with you! Tomorrow I'll be posting pictures of a tag I made using one of the cut files, along with a video showing how I put the tag together. But for today, here's the free download. Just click on the preview image to download the files. As always, MTC, SVG and now PDF files are included in the free download. Enjoy! Well it looks like winter is definitely here for us, the snow has been falling since yesterday and it is WHITE out there! I heard it even snowed in Arizona (I'm quite a bit further north than that). Crazy. 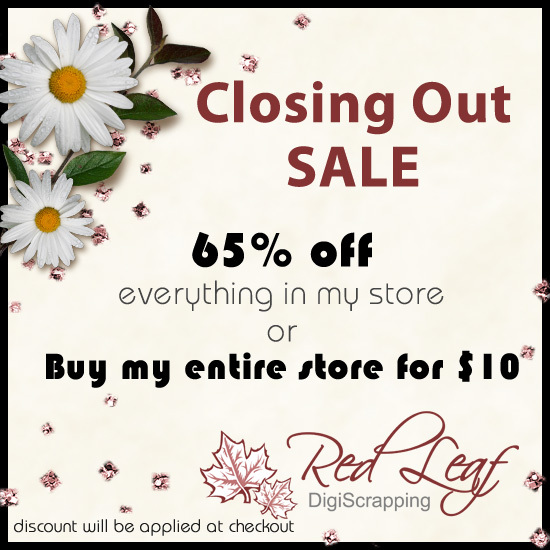 For those of you who are digital scrapbookers, ScrapDish, where I have sold my Red Leaf DigiScrapping line of digital scrapbooking products, has just announced they are closing their doors at the end of this year. So there are some great sales on that you might want to check out. Everything in my store is 65% off, or you can buy the entire store for just $10, which is a fantastic deal. Just click on the ad below to check out the sale. I've been experimenting a lot lately with creating my own backgrounds from plain cardstock to design something totally unique and it's a lot of fun! 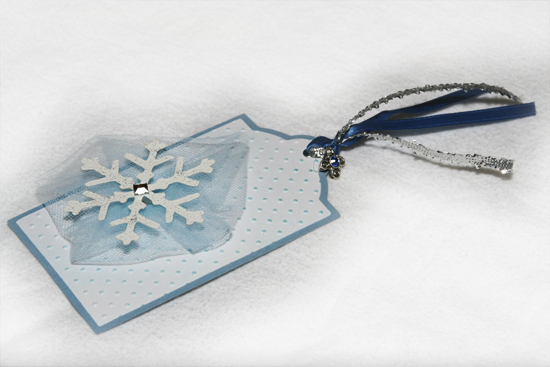 In this video, I show you how to use embossing (I use my Sizzix Texture Boutique) and some Tim Holtz Distress inks to create a fun effect.